The new clip from Spider-Man: Homecoming that aired during the 2017 MTV Movie & TV Awards on Sunday is now online, courtesy of MTV. 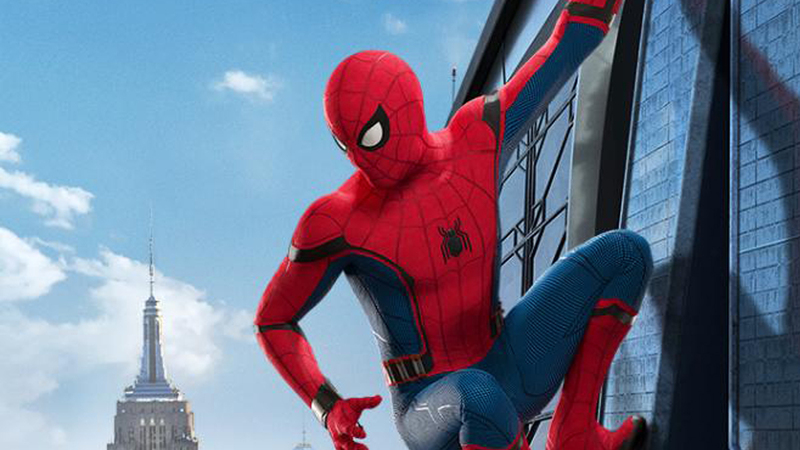 The clip offers a humorous look at how difficult it is for Peter Parker (Tom Holland) to live a double life as a normal teenager and an Avenger through an expanded look at that great scene with his friend Ned (Jacob Batalon), glimpsed in the first trailer. A joint production of Columbia Pictures and Marvel Studios, Spider-Man: Homecoming was directed by Jon Watts from a screenplay by Jonathan Goldstein & John Francis Daley and Watts & Christopher Ford and Erik Sommers and Chris McKenna. Michael Keaton, Zendaya, Donald Glover, Laura Harrier, Tony Revolori, Tyne Daly, Bokeem Woodbine, Marisa Tomei and Robert Downey Jr. also star.